Your next Peloton ride could be really quiet — it’s recalling any classes featuring the songs the company’s accused of using without permission. 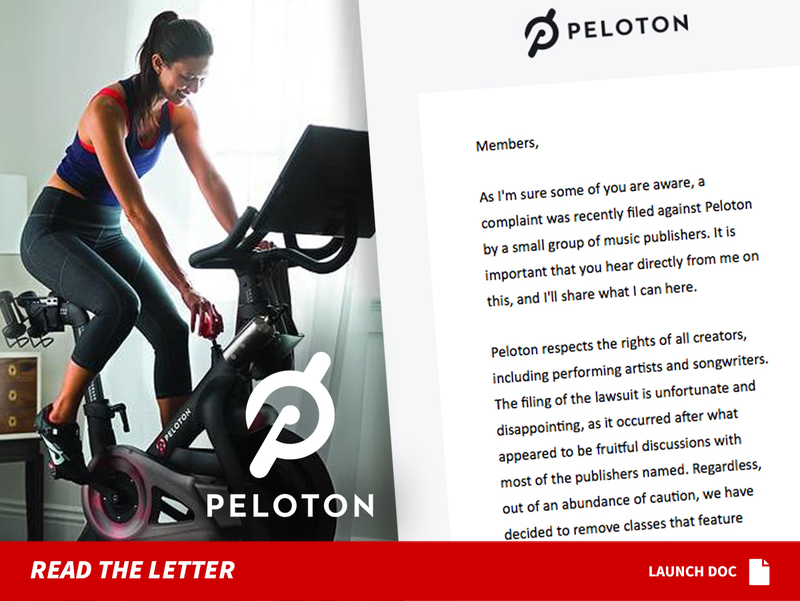 John Foley — Peloton’s founder and CEO — sent a letter to his more than 600k subscribers Monday, letting them know the company is yanking any classes that use the songs ID’d in that lawsuit a handful of music publishing companies filed. Those companies are suing for major damages … up to $150 million. In his letter, Foley says the fitness company is only doing this as a precaution … and assures users that their cycling experience will not be affected by the change. He says Peloton has deals in place with lots of other music publishers and labels that give them access to a “broad catalog” of music that he suggests will be able to replace the temporarily silenced tunes. On the lawsuit itself, Foley says it’s unfortunate that it had to be filed … since he claims Peloton was in talks with at least a few of the publishers before they pulled the trigger.